Seventeen of 19 sector gauges compiled by BSE ended lower led by the S&P BSE Healthcare Index's nearly 2 per cent decline. Domestic stock markets declined in line with broader Asian markets as global growth worries, including the US-Sino tariff war, and lacklustre domestic earnings muted sentiment. The S&P BSE Sensex fell 0.41 per cent or 151 points to 36,395 and the NSE Nifty 50 Index declined 0.50 per cent or 55 points to 10,889. Reliance Industries, Mahindra & Mahindra, ICICI Bank and State Bank of India were among the biggest drags on the Sensex. These shares collectively contributed over 100 points towards fall in the Sensex. While the US President Donald Trump declared he had no plans to meet his Chinese counterpart Xi Jinping before the March 1 deadline to achieve a trade deal, sentiment was further dented by fears of another government shutdown after talks on border security funding collapsed between Democratic and Republican lawmakers. Seventeen of 19 sector gauges compiled by BSE ended lower led by the S&P BSE Healthcare Index's nearly 2 per cent decline. On the flipside, S&P BSE Information Technology Index was top gainer, up 0.2 per cent. Dr. Reddy's Labs was the top Nifty loser, the stock fell as much as 7.59 per cent to Rs 2,559 on the National Stock Exchange after it informed stock exchanges that its Formulations Manufacturing Plant -3 at Bachupally, Hyderabad was issued Form 483 with 11 observations by the US FDA. Mahindra & Mahindra, ONGC, Hindalco, UltraTech Cement and GAIL India were also among the losers. On the other hand, Tata Steel was the top Nifty gainer, the stock rose as much as 3.89 per cent to Rs 487 after it reported an 83.6 per cent surge in third-quarter standalone net profit on Friday, aided by robust domestic production. Standalone profit came in at Rs. 2,456 crore compared with Rs 1,338 crore in the same period a year earlier, the steelmaker said. Cipla, Tata Motors, Indian Oil and Zee Entertainment were also among the gainers in the Nifty 50 basket of shares. 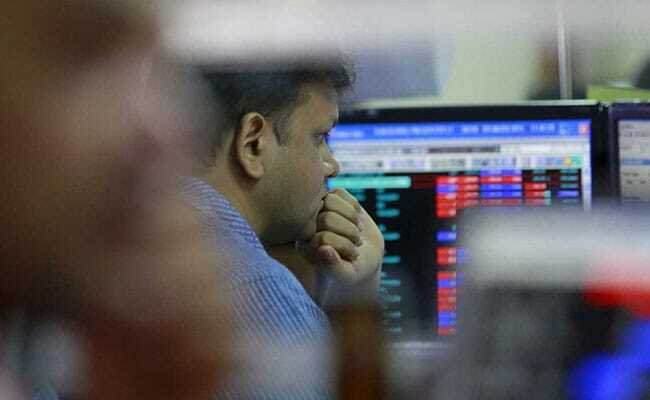 Broader markets underperformed their larger peers as the S&P BSE Midcap Index fell 1.347 per cent and the S&P BSE Smallcap Index declined 1.51 per cent. The overall market breadth was negative as 1,709 stocks declined while 838 advanced on the BSE.